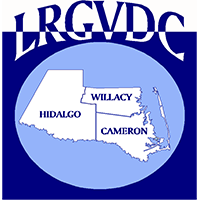 The LRGVDC is a voluntary association of local governments formed under Texas Law in 1967 as one of Texas’ 24 regional Council of Governments (COG’s) serving Cameron, Hidalgo and Willacy County. The LRGVDC promotes and encourages cooperation among local units of government in order to improve the region’s health, safety, and general welfare and to plan for future development. In an effort to assess current services and to provide for the continuance of progressive programs the LRGVDC Membership evaluates and adopts the Council’s Annual Work Program (AWP). Last Wednesday of each month.